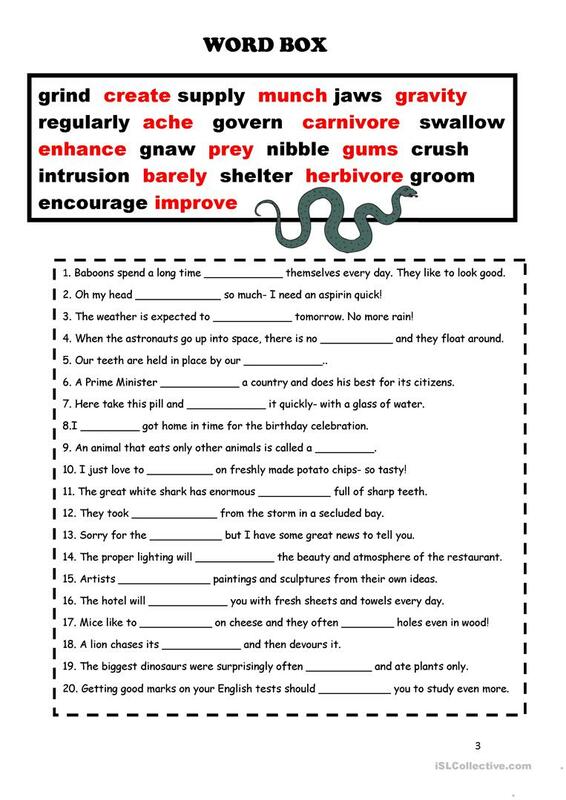 3 page vocabulary test for the Oxford Discover series Book 5- Units 3 and 4. 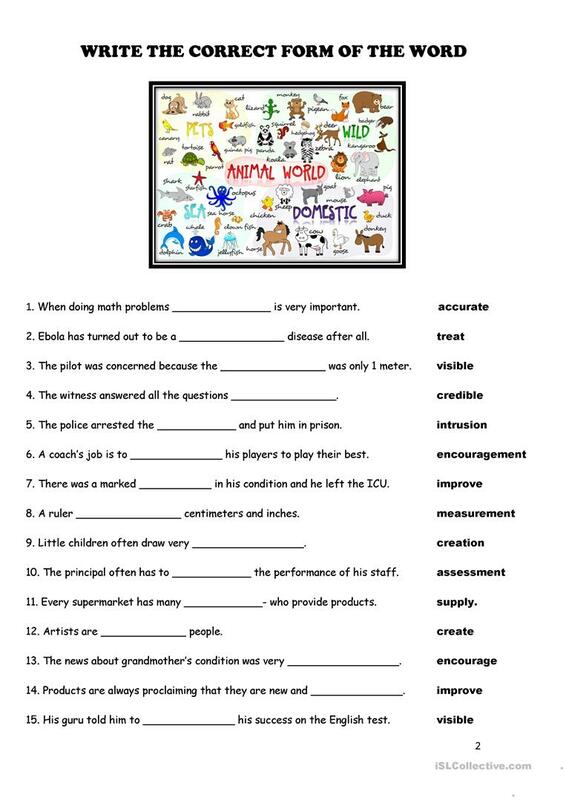 Includes: true-false/circle correct word/word box fill ins/word parts or families. 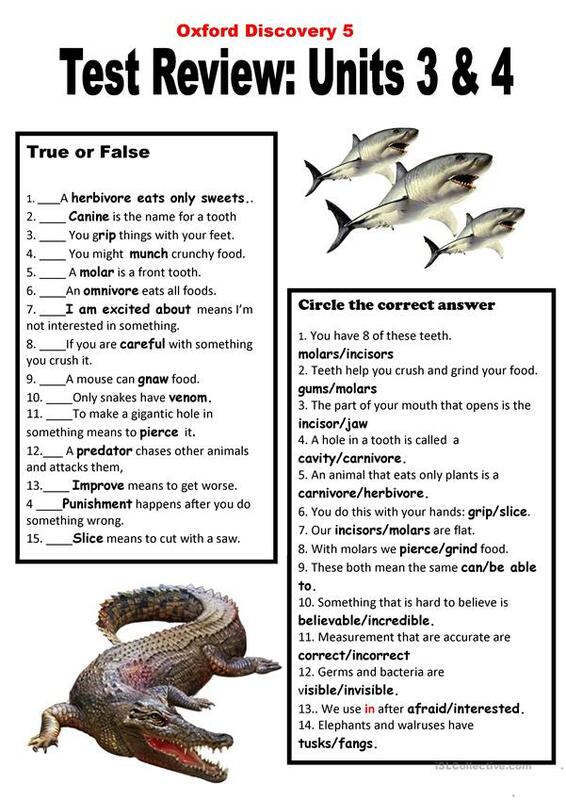 Most of the vocabulary is based on the theme of animals. This downloadable handout is a great resource for high school students, elementary school students and students with special educational needs, learning difficulties, e.g. dyslexia at Pre-intermediate (A2) level. It is excellent for honing your class' Spelling, Reading and Writing skills. It focuses on the topic and words of Actions and Animals. kifissia is from/lives in United States and has been a member of iSLCollective since 2011-10-12 07:37:58. kifissia last logged in on 2019-04-19 03:30:30, and has shared 385 resources on iSLCollective so far.